Sam joined Bison in 2015 through the acquisition of EEMC/EMRC. Sam has an Associates of Arts degree in Applied Science from Northwest College in Powell, Wyoming. He started working for EEMC/EMRC in 2008 on the stack testing crew and eventually his experience led him into the manufacture of gas flow monitors (GFM). Sam currently works in the GFM group in the Billings office, where he has helped to design and manufacture GFM using his experience in flow measurement and electronics. He is also involved in tech support for GFMs and performs IT support for the Billings office. 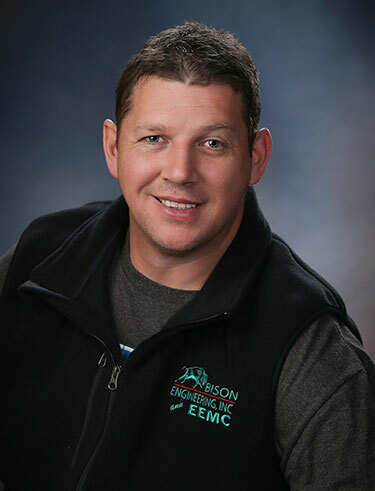 Before joining EEMC/EMRC, Sam spent 12 years working for Williams E&P as a lease operator in oil and gas production where he operated the largest coal bed methane field in the Wyoming Powder River Basin. This provided extensive oil and gas experience as well as measurement/telemetry and electrical troubleshooting experience. In his off time, he devotes his time and energy traveling the world with his beautiful wife, photographing and studying wildlife biology and ornithology.